Blue light is almost omnipresent nowadays; it is emitted by computers, televisions and smartphones. However, if the finding of a new study is anything to go by, one must stay away from this dreaded light for as long as possible. How are you damaging your eyes? According to researchers from the University of Toledo, the blue light is changing the cells in our eyes, and thus, could accelerate blindness. In the study, where the researchers studied the impact of blue light on our eyes, it was found that this light triggers “toxic” reactions in the retinal molecules, which are responsible for sensing light and signaling the brain. Findings were published on July 5 in Scientific Reports. Further, the study claims that blue light supports the generation of toxic chemical reactions that kill photoreceptors, which are used by the retina to allow people to see. Once photoreceptors are killed, they can’t be restored. This leads to an incurable eye disease, called macular degeneration, which results in blindness. “Photoreceptor cells do not regenerate in the eye. When they’re dead, they’re dead for good,” said one of the students involved in the study. Blue light is claimed to have a shorter wavelength and comparatively more energy. In the U.S., about 11 million people suffer from some sort of macular degeneration, and the number is expected to double by 2050, claims a report published on BrightFocus Foundation, a nonprofit organization. How to limit blue light effects? Despite constant warnings from the health advocates, the problems associated with blue light will only get worse. On average, American adults spend more than 11 hours a day looking at screens and check their smartphones about every ten minutes, a 2016 Nielsen poll found. The good news is that there might be a way to stop cells from dying. Karunarathne has found that one type of molecule – antioxidant alpha tocopherol – which comes from Vitamin E, can prevent a poisonous reaction. Since prevention is always better than cure, there are ways to help you keep the blue light effects in check. You can use glasses that block the harmful effects of the blue light. Experts advise that avoiding digital devices an hour before bedtime could also relax your eyes and help you get a good sleep. Also, blinking is a good exercise if your job involves constantly looking at a screen. Watching the screen constantly lowers the reflexes and tear production, and leads to dry eyes. 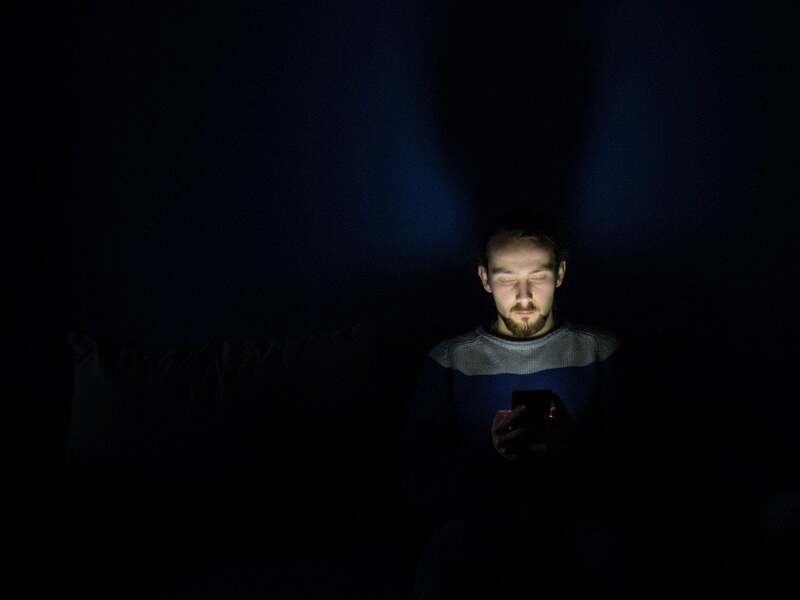 For those, who can’t avoid smartphones even during the night, smartphone manufacturers have come up with a night mode, where the screen turns yellow, thus reducing the blue light. Apart from the night mode, mobile manufacturers are coming up with features to limit the use of smartphones. This, in turn, would lower the impact of blue light as well. With the Android Pie, Google has introduced a dashboard to track users’ phone usage. The dashboard will tell users the time spent on the apps, the number of times they unlock their device, and more. Overall, the feature would help users know how addicted they are to their smartphone. Further, Android users now have the ability to set time limits for the app. Also, a new “shush” mode has been added, which puts the phone into “Do Not Disturb” mode if a user puts their phone down with the screen facing down. Apple also has introduced similar features that allow parents to limit the time their kids spend on iPhones and iPads, and also check their own online habits. “We’re empowering people with the facts that will allow them to decide for themselves how they want to cut back,” Apple CEO Tim Cook told CNN previously while talking of the new features.